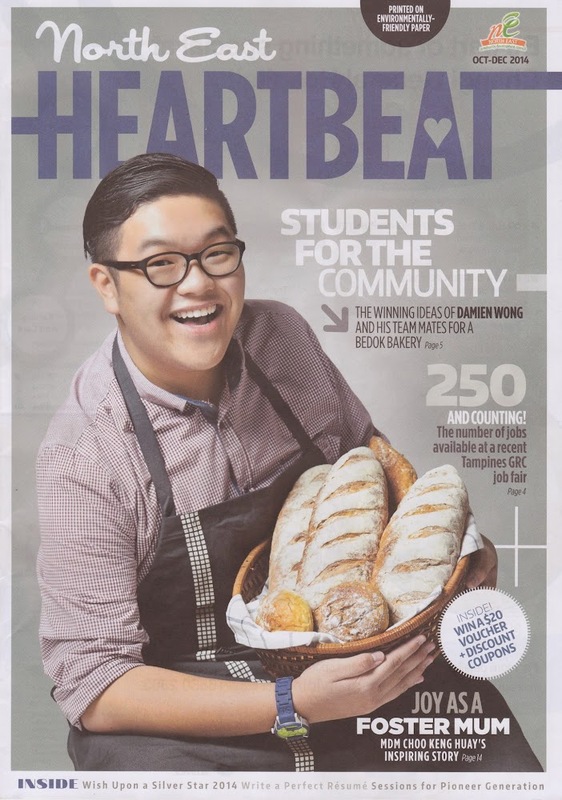 I'm on the cover for the December issue of the North East Heartbeat Magazine! Never in my life, I would possibly dream of having my own face on a front cover of a magazine. That was my dream when I was still a primary school kid. I always wonder how would the models feel when they are being shoot, and they have professional photographers, editors, artistic director and crew members with them at the shoot to make sure everything goes smoothly. The first person I want to thank is God, without him I wouldn't be here today. I also want to thank the school and North East for organising the Marketing Innovation Programme. If you still did not know anything about it (I previously did posted it on Instagram). I participated in a marketing competition organised by my school, at the same time I was also taking a marketing module. So coincidentally, we could actually use this competition as our module project. It happened in the entire week of June 2014, each of the participating teams were assigned to a heartland SME (Small Medium Enterprise). Our task was to come out with integrated ideas to help boost the sales and groom the image of the shop. The month of June was very packed for me as I could recall I was about to leave for Japan for my internship. So I had to finish all my campaign 2 weeks before I flew off. Everything went very smoothly and I was very satisfied with my promotional campaigns that my group ran. I'm thankful for my corporative group members that stayed throughout the competition. On the day of the finals, the teams were narrowed down into 10 teams (If I could recall), everyone was called to attend the finals and they will crown the winning team to see which team performed the best in terms of marketing activities that we ran. To conclude, my team actually won the competition and we were crown the winning team for the entire competition. Never the less, it was a great learning experience and I never knew I was able to do something that I really like. I was also persuaded by many of my friends venture into the marketing industry in the future. (Meaning to study marketing, however I'll be picking the HR route instead as I think it suits me more). Marketing is always an interest for me but I would want to deepen my skills in the HR field. The shoot was held at Mediacorp! I was excited and feeling very intense as it was my first time shooting for a magazine. When I arrived at the venue, there was already a team setting up the table and professional photographer waiting for me to arrive! Thank god, I didn't arrive late! If not I would have been very pai seh! Behind me was the dedicated team that set up the props that I was going to shoot with! Couldn't resist to take another selfie of myself in the studio. Okay la, I have never been to a studio before so I was very fascinated by it! We took approximately more than 75 shots and we kept changing positions and poses! Thankfully, everything was wrapped within 2 hours and it went really smoothly! In case if you want to know, the magazine was sent to the residents of North East including Tampines, Pasir Ris and more. I have my secondary school friends (majority stays in Pasir Ris because my school was there) texting me that they received the magazine too! I was hoping they would send it to my house too, so I anxiously waited!! I will forever be grateful and thankful for these wonderful opportunities! Finally fulfilled my dreams of wanting to appear on a front page of a magazine!